THE GMR Megawide Cebu Airport Corporation (GMCAC) encouraged the Negrenses to travel via the Mactan-Cebu International Airport (MCIA) to any destination for convenience, cheaper flights, and easy access during their first sales mission in the city held at the L’ Fisher Hotel in Bacolod City Tuesday, February 12. Aines Librodo, head of Airline Marketing of GMCAC, said in a press briefing Tuesday that the passenger traffic from Bacolod to Cebu is growing, noting an increase of eight percent in 2018 compared to 2017. It is a good number and an indication that more and more passengers travel via Cebu airport to any domestic and international destinations, she added. In 2018, MCIA recorded a total of 186,676 passengers from 175,942 passengers in 2017. “Panay Island may have a bigger population than Negros Occidental. But Negros Occidental is the third most populous province in the country, next to Cebu, with as much potential,” she said. Thus, it prompted them to hold a sales mission in Bacolod, as they believed that the city has its own market and a destination on its own, which needs to be informed of the recent developments in MCIA. The sales mission is one of GMCAC’s marketing initiatives to keep tourism stakeholders, particularly travel and tour operators, highlighting the many destinations out of MCIA and the convenience that it offers to passengers who will use MCIA as their transit point. Through the sales mission, we can present new opportunities to travel agencies, update them about the latest in Cebu, get their feedbacks, and help them with additional connections that Bacolod needs, including the introduction of new amenities and services that Cebu have, Librodo said. Nine airlines were brought to Bacolod to show their product presentations and other offers. Last year, GMCAC staged its first sales mission activities in Davao, Cagayan de Oro, Iloilo, and Tacloban. It is the first time that GMCAC held its sales mission in Bacolod on its second year. “We recognize the importance of de-linking Bacolod from Iloilo because it is a destination on its own. It will also be much more convenient for the travel agents here,” Librodo said. She even encouraged Negrenses to patronize the Cebu airport rather than travel via Manila to any destination. For his part, Ravishankar Saravu, chief commercial advisor of GMCAC, said they are currently in the process of expanding the Terminal 1, which can handle at least 16 million passengers in four years. 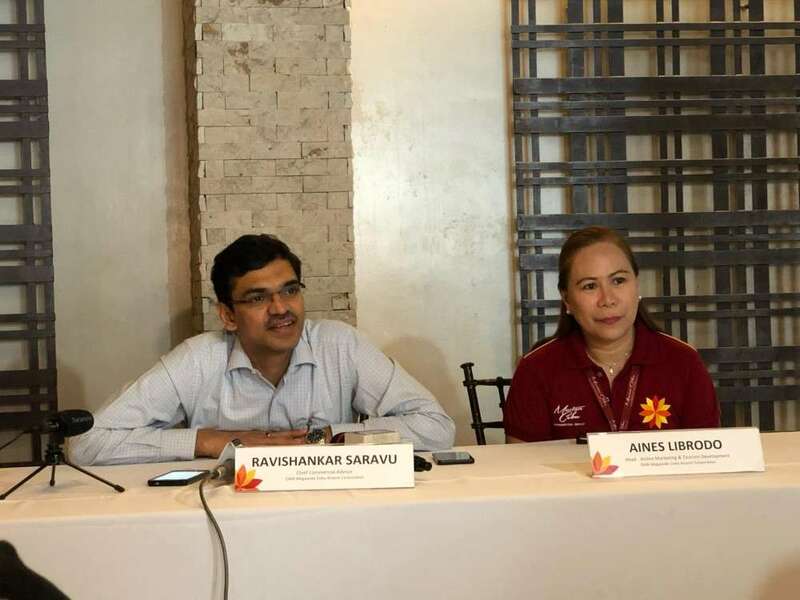 It is not just about Cebu but the entire central and southern Philippines can benefit on this, Saravu said. “We are here to promote connecting flights from Cebu to more and more destinations,” he added. At present, the MCIA has 26 international and 33 domestic flights, he said. It is very convenient to travel via Cebu to any destination, with our new services and amenities, and new flights, he said. GMCAC will be having the final leg of its sales mission in Tacloban on February 20.